House in a quiet area with 2 bedrooms and 2 bathrooms. 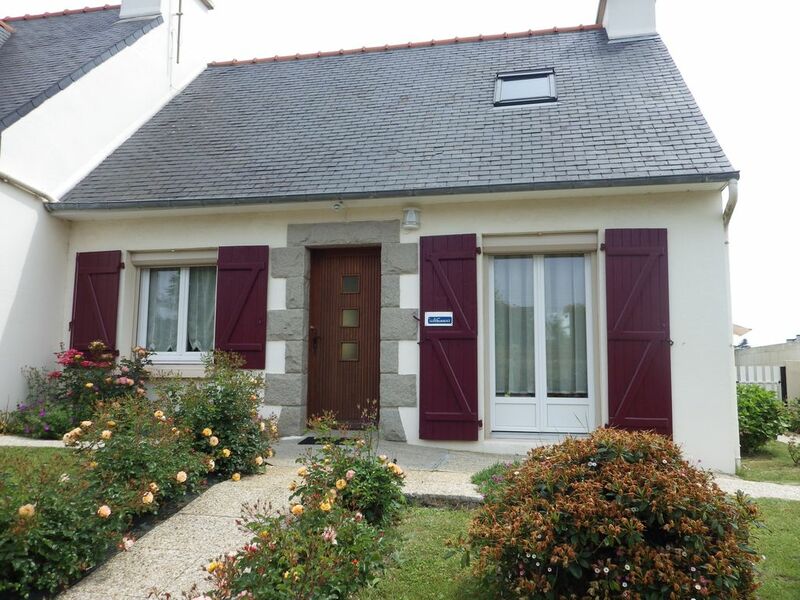 For your stay, come and enjoy this quiet house, while enjoying the proximity of the city center and the port of Paimpol, about 1 km from the port (650m from the first shops including a bakery) and 2 km from the beach. Tossen. The house can accommodate up to 4 people, adjoining the home of the owners, consists on the ground floor of a living room (with TV, DVD player) with kitchen (coffee maker, microwave, combined -freezing, Dishwasher, ...); a room with 1 bed of 140 cm and its private shower room communicating with shower and toilet. On the floor are the 2nd bedroom with 2 beds of 90 cm; and an independent bathroom with shower and toilet. Outside enjoy a terrace and a private garden, closed and without vis-à-vis, with garden furniture, parasol, sunbathing and barbecue. For the quality and comfort of your stay, the house is also equipped with Wifi, private washing machine, parking spaces right in front of the house. rental of sheets and towels. Pets are allowed with the agreement of the owner but they can not stay alone in the accommodation. We hope to have the pleasure of welcoming you and remain at your disposal if you have any questions. Charges of 50 € per week included in the price indicated. To book, the tenant must send to the owner, a deposit check of 30% of the total rental + charges. The balance is settled on the day of arrival. Means of payment accepted: cash, bank check, holiday vouchers, transfer. Possibility of sea fishing with the owner on a fishing boat ride from May to September. ironing board and iron vacuum cleaning products pot for cooking shellfish. Baby equipment on request: cot, high chair, bath Facilities: 2 bikes Women + 2 bikes for men. The sole responsibility of the users. Despite the location near a busy road the place was very quiet. The garden added to the peacefulness. It was close to the town and closer still to a boulangerie ,which is one main reason to visit France. The owners were delightful and helpful. Très bon accueil, un gite ou il ne manque rien et tout est de très bonne qualité " sauf, mais en étant difficile, le canapé". Mais il est vrai que la région est si belle que l'on y passe pas beaucoup de temps. Les propriétaires sont toujours disponibles, ils sont même capables de vous commander le soleil fin octobre. Merci à tous les deux, pour cette appréciation. C' est un plaisir, de vous accueillir. Location idéalement située un peu en retrait du centre donc au calme. La maison est coquette, rien ne manque : confort, équipements et très bien entretenue, comme chez soi. Il faut absolument se promener au marché de Paimpol (produits et producteurs de la région). Je terminerai pas le meilleur, l'accueil de Michel et Marine qui savent recevoir, prodiguer d'excellents conseils tout en restant discrets. La région est belle et les bretons accueillants que demander de plus ?Y revenir : avec plaisir ! Séjour inoubliable à Paimpol, petite ville pleine de charme. Tout est réuni pour passer d'excellentes vacances. La maison est impeccable, très bien aménagée, fonctionnelle et décorée avec goût, le jardinet fleuri et clôturé. L'endroit est calme et très bien situé pour découvrir cette magnifique région de Bretagne. Accueil plus que chaleureux de Michel et Marine qui sont d'une gentillesse et d'une générosité remarquables (produits de la pêche offerts par Michel, délicieuses recettes confectionnées par Marine), toujours soucieux de notre bien-être. Ils nous ont donné de bons conseils pour visiter la région. Il est rare de rencontrer des personnes aussi attentionnées et adorables. House near the sea and shops of downtown Paimpol.